Dresses is a very unique pop band out of Portland, OR. The band consists of Jared Ryan Maldonado on guitar and sharing vocal duties with Timothy Heller. BareBones Ent sat down and talked with Jared, check out what he had to say about Dresses below. BS: You have a very interesting and fun style to your music, what do you consider your music to be? Dresses: Thank you! That’s a tough one.. We have never really sat down and been like, “what is our style?” because we now have a collection of songs (Sun Shy EP) that we’re created over such a long period of time, and they are all a bit different. I would say in the most general terms we are indie-pop, only because we enjoy good melodies and catchiness and portraying those things in a way that’s not straight up pop. But at the same time, we are still (and hopefully always will be) growing and honing in on our sound. BS: What bands have influenced the music that you make? Dresses: This is probably the most difficult question to answer! 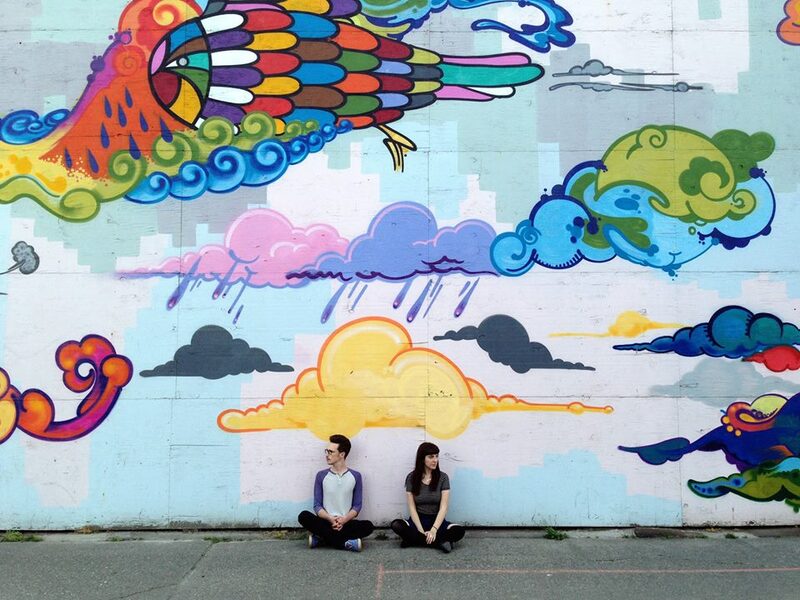 We both have so many favorite bands and artists, and so many influences, and find new songs/artists we love constantly. I think overall we’re influenced by inspiring music, which ranges from Kimbra to Drake, Foster the People to Elvis, Abba to Alabama Shakes, and so so many more. BS: At what moment did you know that you wanted to get into music? Dresses: For me (Jared), I have had a connection to music since I was born. I’ve seen videos of myself as a baby bopping to Prince, and I grew up watching my dad play. My dad is an amazing bassist, drummer, guitarist, uke player, etc. etc., and since I was little I have always looked up to him musically. All throughout middle school and high school it was my dream to play music for a living, and when it got to a point where I finally had the opportunity to do so, I felt I had no choice. BS: If you weren’t making music what would you be doing? Dresses: Probably working somewhere pretty boring and going to school. BS: Is there anything about the band that may surprise your fans? Dresses: Well, Timothy and I are dating! That can be a shocker for some… And we are all very sarcastic. Dresses: It was super fun to make! It was only our second time making a video for Dresses so we were still a little nervous/unorganized about it, but thankfully a bunch of friends came out and we had a really good time. Basically the day started and we blocked the windows with sheets, friends came over, we filled our cups, and then partied for the camera for 4 or 5 hours. The most fun part was during the bridge of the song with all the tiny pieces of tinsel falling in slo-mo, but I’m willing to bet that everyone that was there still finds pieces of it in shirt pockets and shoes to this day. BS: What was the inspiration for that song? Dresses: We were in the very beginning stages of creating the band and we were looking for band name inspiration. We had been searching through tumblr URLs and found one that had the words “sun shy” in it. So at first it was a considered name for the band, but months later I wrote the first few lines and really liked the idea of “sun shy” and how the words sounded. BS: Can fans expect to see you on a more extensive tour soon? Dresses: That’s the plan! We’re trying to find something for this fall. We’ve only played the West Coast so far, so hopefully we can make it out to the rest of the country before 2014! BS: If you can go on tour with any band who would it be and why? Dresses: Probably Foster the People or Hellogoodbye. Foster the People because they are so energetic and have such a good live sound and set up, and the shows would be insane. Hellogoodbye because they are an amazingly fun and energetic live band, amazing people, and it would just be an overall awesome experience. BS: You have said you have a full length coming out this spring. What information can you give us on it? 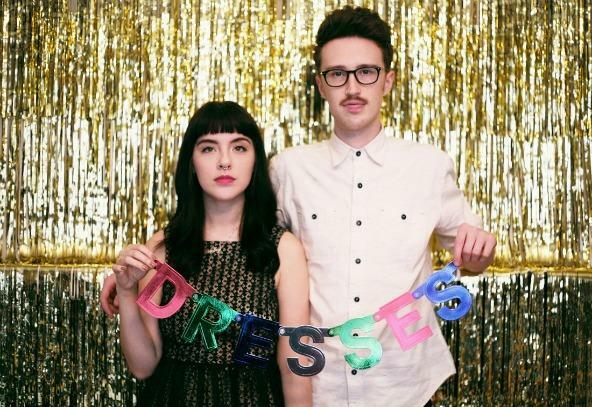 Dresses: Actually, our “full length” is actually an EP and it will be out July 23rd! It’s a 9 song EP, which sounds crazy, but its because the songs were written over such a long period of time and recorded throughout 2012 whenever we had the chance to get into the studio. We really just wanted to compile what we had written on our own, and together, and just get it out there. That’s why you’ll hear a handful of different styles and many different sounds on the EP. BS: Is there anything else you would like to say to your fans out there? Dresses: We love and appreciate anyone who takes the time to listen, buy, and watch what we have to do! We are currently writing more and more and are super excited about where we’re going musically and can’t wait to keep on sharing with you. Thank you!